Dorset Art Weeks launches tomorrow on Sat 26 May 2018. It's been all hands on deck here at Othona, getting ready for our 4th DAW! We are very excited (and knackered)! 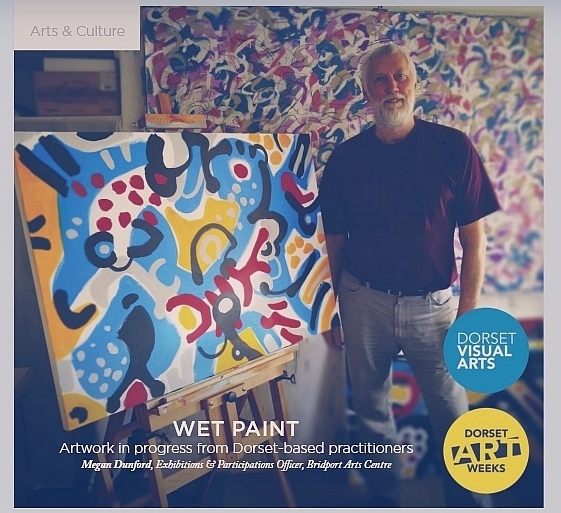 Mart Tebbs, who has been exhibiting here since Othona first began participating as a DAW venue in 2012, is featured in the May edition of the very snazzy new mag, Bridport Times, along with other local artists. You can read the magazine online, or pick it up in Bridport venues. Do come and visit us over the DAW weeks (26 May to 10 June) - for art, cream teas and sea views! You can read and see more about DAW @ Othona, present and past, on the DAW page of our website.